You put your heart and soul into building a product or a service, once it is built it is only natural for you to want to show it to the world. But think it through, do you really want to just show it or do you want to grab the attention of your potential consumers? I guess the later. In today’s’ world where already exists a gazillion brands, simply revealing or bringing the product into the light might not give you the desired customer base. It also might not be financially viable. The chances of getting lost in the pool of limitless brands and advertisements are just too high. So does that mean that one shouldn’t invest in advertising? Of course not. Here comes the power of marketing to a target audience. 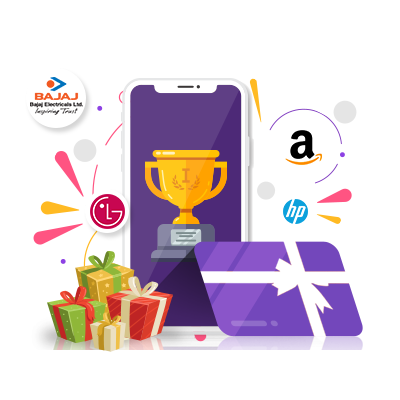 Target Marketing is the approach in which Marketers try to attract and sell its products and services to a target audience who are very likely to become customers in future. In Target Marketing, the marketing efforts are channeled towards a targeted set of customers. It requires more planning and research on the marketers’ end prior to implementing it than traditional marketing but the end results are visibly better. 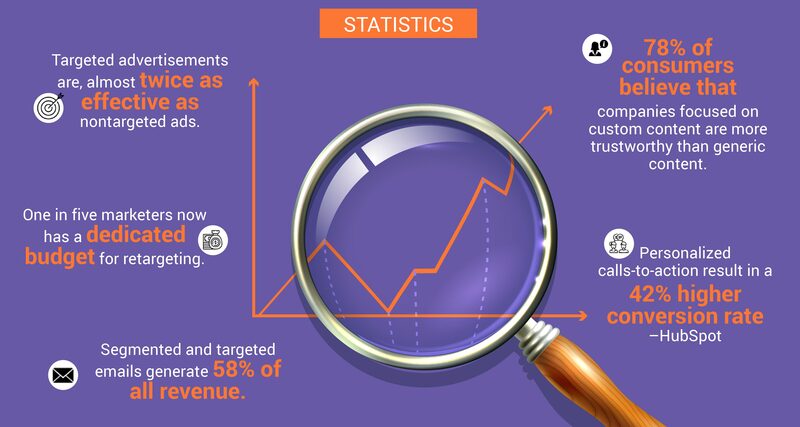 Targeted advertisements are, on average, almost twice as effective vs non-targeted ads. Target Audience can be segregated from a market on the basis of needs, income, location, trends, age, lifestyle, hobbies, occupation etc. For example, Volkswagen India has introduced a new corporate sales program targeting young professionals. Entire Volkswagen product range will be available with benefits targeted at the corporate audience. This program aims to strengthen the brand’s proposition as an accessible premium brand in India. But why is a car company targeting their products to corporate professionals? Simple, Volkswagen is targeting a section of the market that are trustworthy, verified, salaried professionals who are willing, interested and capable of buying their products. 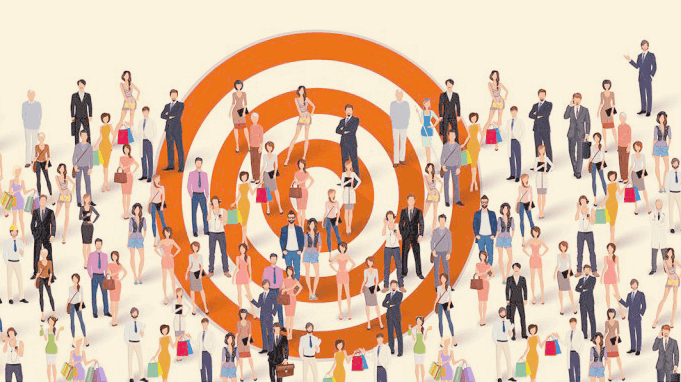 WHY SHOULD BRANDS FOCUS ON TARGET AUDIENCES? The first Goal is to identify the target audience. Second is to present to the audience what you have to offer in a unique and interesting way. The third is to improve the engagement or traffic with respect to the product/service. The fourth and the most important goal is to increase the conversion rate and ultimately build a stronger loyal customer base. The rule is simple, you get what you give. The customers that are already paying for your product/service. The promoters that not only are your loyal customers but also influence others to buy what your selling. The potential customers that might be interested in the product/service. Let’s take the example of Walt Disney’s marketing strategy. Disney aimed not only at children with his cartoons and movies but also adults who were still children at heart and could appreciate his films and learn from their stories. That has continued to be the driving force behind Disney – appeal to children and adults alike with family-friendly entertainment that both will enjoy. 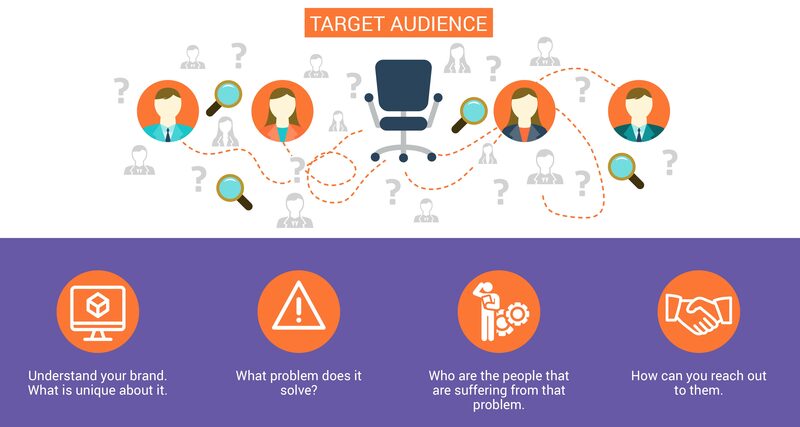 It just cannot be stressed enough that defining Target Audience is vital for your marketing planning. Even if you feel like your product is suitable for all segments and groups of people, marketing tactics and Ad campaigns will be different for different demographics. And you as a marketer cannot leave any stones unturned! At the expense of sounding repetitive, I would like to bring up again that understanding the brand is the most important step. The process of identifying a target audience can vary according to the product or service that you are trying to sell. A generic way is, however, understanding the product better, what unique problem does it solve and who are the people that might experience a similar problem. Often the answers to the toughest questions lie in plain sight. The target audience may vary according to Demographics, Geographical preferences, Psychographic, Socioeconomic factors etc. You’ll have to meet the unique needs, desires,and motivations of each segment. The brand needs to be analyzed repeatedly both from a buyer’s perspective and a seller’s perspective. A lot of learning and unlearning is needed to be done in order to tap potential opportunities. You’ll need to keep an open mind about the new discoveries you may find in this process and be able to step out from your point of view. Once you are aware of your target audience or multiple target audiences, you need to organize the data in a smart and systematic manner. This data will prove to be the most prized possession of a marketer. 2. ESTABLISH THE ACTION PLAN TO REACH YOUR TARGET AUDIENCE. Once you’ve recognized your ideal audience the next step is to come up with the best strategies to get them. The idea is to have an action plan that is smart, time-bound, sustainable and realistic. You must always try to uncover the less obvious attributes of your target audience. The basis of market segmentation involves dividing a market into well-defined groups of consumers with the same needs. Once you have the Game Plan, next question is HOW DO YOU REACH OUT TO THEM? What Jim Stengel was probably trying to say is that if we visualize our consumer as a caged animal, who is not proactive, who has no control over what they are fed, we might just be doing the biggest mistake. Today’s customer isn’t locked in a cage. They are constantly on the hunt looking for the right opportunity at the right place at the right time. The scenario is, by all means, tougher than ever before. Marketers will have to go out of their ways to reach out to their target audience. Thankfully (or not), in this era of digitization, it is actually not very hard to track the characteristics of your buying customer. The social media presence of today’s generation is super strong and your buyers already have provided you with plenty of information. Each social media platform is different from another, each has a different broad category of a user base, making it easier for you to throw targeted ads to your audience accordingly. Depending on your buyer persona, you need to figure out the social media platform where you will find them and strategize your** CONTACT PLAN**. As a marketer, your main goal is to have a solid ROI for your time and money. Focusing on a relevant marketing channel(s) for your target audience is an incredible way of doing so. And like everything else these days, there is a BIG list of Marketing Channels to choose from. Here are a few categories of DigitalMarketing Channels:Search Engine Optimization (SEO), Referral Marketing, Content Marketing, Online Advertising, Social Media Marketing, Influencer Marketing, Utility Marketing, Online Events etc. You can opt for multichannel marketing or omnichannel marketing and it will all be dependent on your buyer persona. With over 2.5 billion people on social media Facebook, Google Adwords and Pinterest are emerging as giant marketing channels. The key is to choose the most relevant marketing channel for your brand. Let’s take a unique example of a marketing channel for brands in Financial Services or Real Estate. The ideal buyer persona is most likely to be verified, young and salaried professionals probably working in some big corporates. For them, apart from the obvious marketing channels, a very relevant marketing channel would be an **Employee discount platform. **A place where corporate professionals can get access to special employee pricing or employee discounts or gain rewardsfrom their organization. 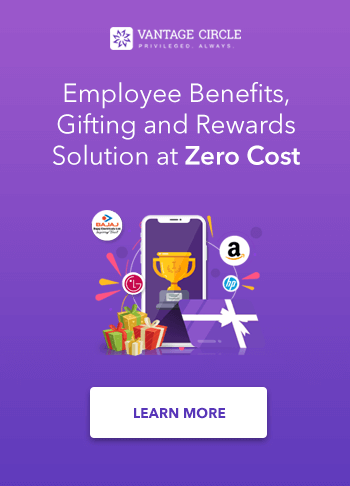 The best bet would be to associate with an employee engagement or employee benefits platform that is active and already has a strong user base. You can also channelize your marketing efforts to your target audience through Retargeting. Retargeting is the online ad placements and ad display on the basis of previous activity of the user. According to statistics, a retargeted display and will encourage 1,000 percent more people to search for a product. You should always be crystal clear about what is exclusive about your brand and what is the unique problem that your product solves. Once you know that, it should be the central focus of all your marketing tactics. Finding niches in your target market can be a superpower in disguise! Target market, in short, is the potential market within the available market. Whereas, niche marketing is a marketing strategy that combines the targeted audience with the problems that they are facing and then acts as a **solution provider **for the targeted audience. Niches might not even exist, you can create them with your creativity and understanding of the product. Niche Marketing will help you connect with your audience better and form a stronger relationship with them. You can offer specialized offerings to your specific target audience. Another great advantage of niche marketing is that the competition is very less and it wouldn’t be very difficult to become a leading brand in a niche market. Once you start understanding your niches and acting on them, it is pretty safe to say that there is a huge potential for reaching out to your buying customers. Strucking an emotional chord with your customers through your brand has a large positive impact on its brand value. In fact, Emotional Branding is no longer a suggestion but a requirement in 21st Century. Emotional Branding is what separates your brand from the rest of the brands. Most successful marketers aren’t actually trying to sell their products, they sell the idea and they even sell a dream at times. A brand should fulfill 3 major criteria: It should be unique,it should be useful and it should be people-focused. When you start building the profile of your customers, you have to get inside of the head of your target audience/customer and understand their motivations. Even if you know your target audience, you’ll be able to form a loyal connection with them when you make them feel valued in form of special targeted offerings and discounts. Also, some brands have successfully incorporated elements into their advertising strategies that show their contribution towards the betterment of the world or a certain section of the society (such as environmentally friendly products or brands that contribute to charitable works). These brands are doing well because people (especially millennials) are more likely to buy a product if the product makes them feel good about it. 6. ANALYSE EXISTING REPORTS AND STATISTICS. The most powerful way to identify your target audience lies right in your pocket in the form of past data. Past Reports and statistics can contain valuable information regarding your customers. It can present you with complete new insights on their behaviors. It can reveal answers to your customer trends that are otherwise impossible to know. Also, determining your target audience is just the first step. But only statistics can tell if that step is in the right direction. As you must have realized, determination of your target audience is based on a lot of factors and assumptions. Sometimes a different group of audience responds better to advertisements that were aimed at some other section. And this information can be obtained only when you analyze your data and reports. Making a marketing plan is not a one-time thing. It is not something that you can make once and relax. In order to keep your brand active, you need to keep updating and improving your marketing tactics. The pattern of results from the marketing channel(s) that you are using for your brands can tell you important stories. The reviews and feedback from your customers always help revealing facts about your product. All you need to do is analyze, analyze and analyze. The moral of the story is that statistics and data have great power, they eliminate the wrongdoings and help you identify the right ones. Results after every campaign you run will help to improve in the future. It will give the most trustworthy information about your marketing plans and how to optimize them for best returns. It also eliminates the need for assumptions. To conclude, it is important for a marketer to realize that you cannot please everyone with your product or service. More importantly, it is better to acknowledge that you have a specific audience and channelize your marketing efforts to attract them. Target marketing is an effective approach and it requires a lot of brainstorming, planning, and creativity in the beginning but the end results are great! To keep up with today’s consumer, you really need to run an extra mile to reach out to them. Be it in the form of Social Media Marketing, marketing through target audience oriented channels or Retargeting, you need to keep updating your Game Plan. Making a Marketing Strategy is not a one-time thing, it is ever changing. You should not be afraid to experiment with new marketing channels for your product. Past data and statistics reveal important stories that can further optimize your marketing results. If you can accurately target your potential customers, it can help your business in more ways than one and show effective results. This article is written by Darsana Dutta. Darsana works as a Content Creator in Vantage Circle. She is a big time Human Resource Management enthusiast, she loves keeping herself up-to-date about the latest trends around Employee Engagement. She is a painter, a passionate book-worm and an Aquarian inundated by natu.